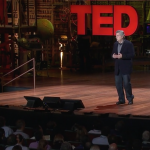 Don’t give your audience room to draw incorrect conclusions. 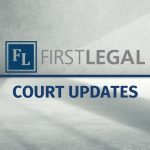 Although you can leave some room for interpretation when necessary, especially when you are legally unable to spell things out for the jurors, it’s still important that you are the person who connects the dots for your audience. This ensures that everyone is on the same page, and can help bring people together in agreement with you when the jury retires for deliberation. There will be places in your presentation where you have the opportunity to make important points through your use of titles. Slide and presentation titles are much more interesting when they pose a question, make a statement, or reinforce a theme. For example, “Timeline” and “Personal History” are weak titles and underutilize one of your best opportunity for imprinting themes and posing questions. Instead, consider using a title such as “What Were John Doe’s Motivations?”, which poses a question that your audience knows you will answer. Luckily, because titles are easy to change, you’ll be able to swap things out on the fly, even if a judge objects to a title you’ve chosen. Keep your bullet points short and your slides sparse. Although visual impact is an important part of your overall presentation, you should have minimal words on the page. You don't want your audience to be distracted as they try to read ahead or catch up. Don't read verbatim from the slides. When you keep your sentences short and simple, you also remove the temptation for yourself! Plan to lose everyone’s attention. Of course, ideally your audience would be rapt the whole time and hanging on your every point. However, it’s best to assume that you need descriptive graphics to keep people tuned in. Graphs, 3D animation, photos, sketches and other visual elements, are much more interesting than plain text. Finally, you should always try to play to your audience. Consider who they are, and their interests, beliefs and biases. Craft your argument with a specific type of person in mind. The jury is not made up of blank slates. You must consider what kind of evidence your audience can grasp, and provide visual images and contexts familiar to them. When your presentation is well practiced and well structured, you’ll deliver a common visual experience for those in the courtroom. When you control the visuals, you can guide and shape the narrative to better bolster your own case. 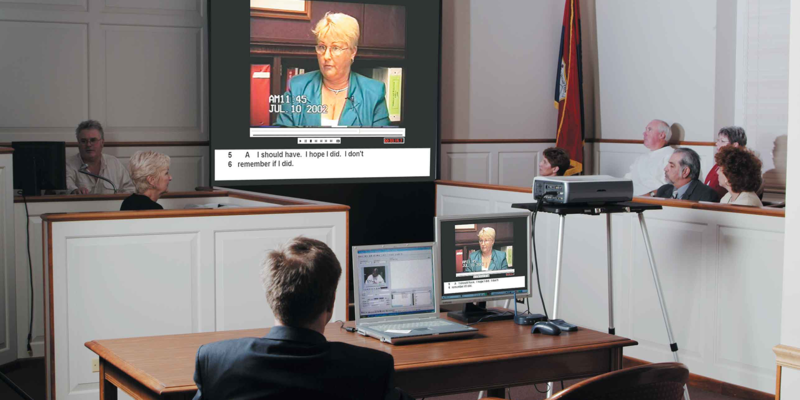 Visuals also enhance the ability of your jury to retain case facts and essential information. A great trial presentation can turn the tide of a case by crafting an overarching story that is most beneficial to your client. For more information on trial presentations, or for help creating some of the compelling visuals we’ve discussed above, reach out to our Trial Presentation department at (800) 889-0111.